ADI offers a broad range of science-based behavioral consulting services that accelerate business and safety performance. Developing leaders and creating work environments that motivate and sustain the behavior change needed to achieve business success. Supporting organizations and their employees in using sound behavioral principles to achieve and maintain exemplary safety performance. Uncovering the reliable, meaningful, and actionable data you need to see a clear path forward and to create positive change. Applying a behavioral lens and viewing your organization from a different vantage point to uncover new, productive opportunitites. Building the skills you need and introducing behavioral principles in a variety of introductory and skill-building workshops. Preparing internal trainers and champions to deliver ADI's proven behavioral approach inside your organization. Partnering with clients as trusted advisors who deliver science-based guidance to help you achieve your goals quickly. Maximizing and sustaining employee performance and organizational profitability through performance-based pay. Delivering engaging and actionable talks on a variety of topics from one of ADI's many dynamic personalities. Accelerating the learning curve and creating experts who respond without hesitation through ADI's web-based program. It is through our clients dedication to building the science of behavior into the fabric of their everyday work that makes these organizations exceptional. ADI supports clients in addressing their greatest business concerns by defining and motivating the behavior tied to business results. 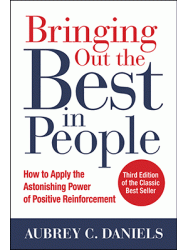 Improve performance and results while bringing out the best in people, processes, systems and management practices. Create a culture of safe habits and develop the skills needed to sustain those behaviors throughout the organization. Align what matters most to employees and the organization to build a positive and engaging work environment. Build and solidify new process habits that reinforce the behavior needed to sustain your gains. Develop consistency in leadership excellence and focus your workforce while building positive accountability. Reduce the variance in human performance and elevate your organization’s overall performance level. Design and align performance systems that are practical, equitable, and support the performance that matters most. Design a behaviorally sound and executable strategy that ensures enduring impact. Build knowledge and skill fluency while ensuring the rapid transfer of critical training to the workplace. Create a workplace where performance is valued and compensation is earned by those who have the greatest impact. Identify, shape and reinforce key sales behaviors that consistently produce results. Let us become your up-to-date resource for the latest in books, training materials and technology. Behavior is everywhere and in everything we do. Explore the latest articles and commentaries on important and timely workplace topics. Hear directly from our clients about the impact ADI and a behavioral approach have had on their organization. The consultants we work with at ADI are practical and pragmatic. Our consultants get to know us—they invest time and effort to understand our business environment and provide pertinent guidance on how to shape culture. Applications of Behavioral Leadership delivers a very detailed system for managing people's behaviors through knowledgeable, engaging instructors that provide you with a toolkit that you can use at work and at home. The ADI process provides useable tools for managers to use in creating a reinforcing work environment. Managers should do themselves and their employees a favor—learn and use these tools.